She was born a fighter, she had to. Her mother delivered her prematurely on Aug. 2, 1902, on a farm in Kentucky and died a short while after. Her father reportedly wrapped his frail daughter and rode 40 miles by carriage to his sister’s home who gave the infant bacon rind to chew to stimulate thirst for more nourishment. Little Bessie prevailed. When she was 10, her remarried father moved the family to a homestead in Arkansas’s Ozark Mountains. There she earned a teaching certificate at age 14 and landed a summer job at a rural school near Batesville. After three years, Bessie was offered a full-time teaching job in Pulaski County. Her lifelong love and advocacy for public libraries, and her reputation for persuasiveness, started in 1926, when Bessie was the county school supervisor in Jefferson County. There was no textbook law, and many children in rural schools had no texts at all. Bessie and a like-minded women’s club approached the quorum court for a library appropriation. But the judge—disdainful of such a “frivolity” when roads needed repairs—ordered the session closed to all those without seats and the women reluctantly began to leave. Then a local banker offered a solution, pointing to his knees. Bessie took a seat on his lap, laughter ensued, and eventually Bessie got her requested $5,000 for the state’s first county library. She later prevailed on Congressman Brooks Hays, then the assistant attorney general, to write what would become the county library law. Bessie was 24. She became an authority for library development and served as a member of the Arkansas Library Commission under nine governors and on the National Commission on Libraries by appointment by Presidents Johnson, Nixon, Carter and Reagan. Her commitments didn’t stop her from also developing Arkansas’s first nursery schools, forerunners of the early-childhood education movement. Or from continuing her own education: Bessie earned a bachelor’s degree in education, master’s degrees in education and in economics and four honorary doctorates. Or from running a successful restaurant, Moore’s Cafeteria in Little Rock, with her husband, Merlin. Or from winning approval for the Ozark Folk Cultural Center near Mountain Home, a 10-year-long project. 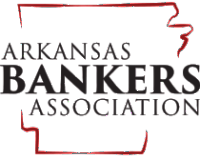 Or from serving on the board of directors of the First National Bank of Little Rock. Yet her ultimate triumph is considered the Arkansas Council on Economic Education, known today as Economics Arkansas. It’s often been referred to as the finest economics program in the nation. 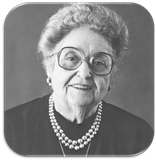 Bessie remained at its helm for 17 years, and even after her retirement in 1979, its legacy has endured, thanks to the strong foundation, clear vision and extensive support network she helped set in place. 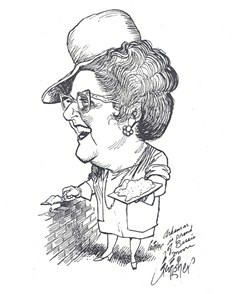 Bessie won numerous awards, including many “woman/citizen of the year” honors, honorary citizen designations, Arkansas Traveler, recipient of the Freedom Foundation Medal, and more. In 1978, the University of Arkansas Board of Trustees named its new Economic Education Center the “Bessie B. Moore Center,” making Bessie the only living woman ever so honored. She died in October 1995 at the age of 93. In 2018, Bessie was posthumously inducted into the Arkansas Women's Hall of Fame.